Background/Aim: The relationship between gastroesophageal reflux disease (GERD) and nonalcoholic fatty liver disease (NAFLD) has been demonstrated in recent epidemiologic studies although the results were inconsistent. This meta-analysis was conducted to summarize all available data and to estimate the risk of NAFLD among patients with GERD. Materials and Methods: Comprehensive literature review was conducted using MEDLINE and EMBASE database from inception through November 2016, to identify studies that compared the risk of NAFLD among patients with GERD versus those without GERD. Effect estimates from each study were extracted and combined using the random-effect, generic inverse variance method of DerSimonian and Laird. 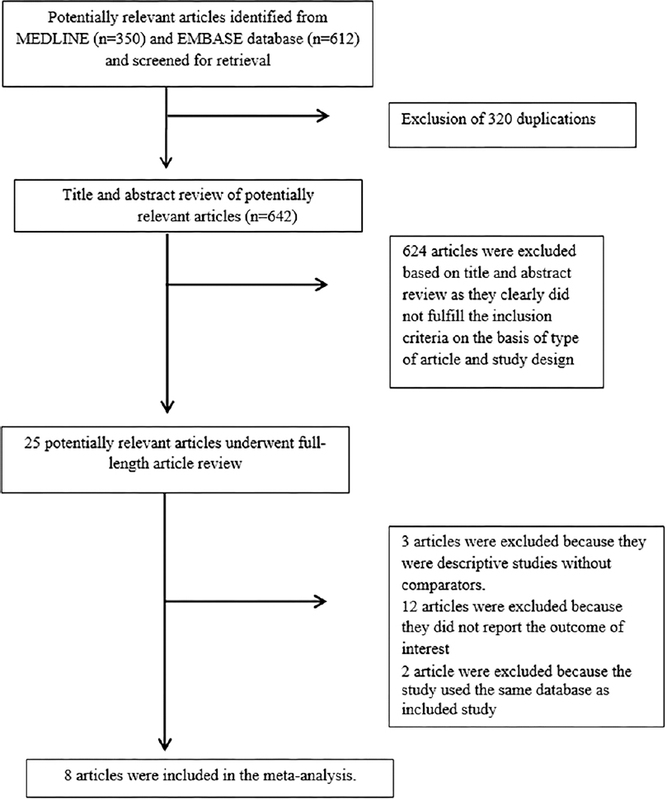 Results: Eight studies (four cross-sectional studies and four case–control studies) with 31,322 participants met the eligibility criteria and were included in the meta-analysis. The risk of NAFLD among patients with GERD was significantly higher than those without GERD with the pooled odds ratio of 2.07 (95% confidence interval, 1.54–2.79). The statistical heterogeneity was high with an I2 of 87%. Conclusions: A significantly increased risk of NAFLD among patients with GERD was observed in this meta-analysis. Background/Aim: Percutaneous cholecystostomy [percutaneous transhepatic gallbladder drainage (PTGBD)] is the treatment of choice in surgically unfit patients with acute cholecystitis. However, PTGBD tube removal after symptoms resolution results in 41–46% recurrence. This study aims to demonstrate the feasibility of the conversion of PTGBD to transmural endoscopic ultrasound-guided gallbladder drainage (EUS-GBD) using plastic stents in patients unfit for cholecystectomy. Patients and Methods: Patients who underwent internal transmural EUS-GBD as a conversion from PTGBD were reviewed. EUS-GBD was performed after the improvement of cholecystitis due to recurrent cholecystitis and PTGBD intolerance. One or two 7-Fr double pigtail plastic stent insertion with or without temporary endoscopic naso-gallbladder drainage (ENGBD) insertion was performed. Results: Six patients (age 61–88), with three cases of acute cholecystitis after metallic biliary stenting and three cases of calculus cholecystitis, who underwent PTGBD were included. EUS-GBD was performed 10–63 days after PTGBD, using one plastic stent in five cases, two stents in one case, with temporary ENGBD in two cases. The technical success and clinical success were achieved and the PTGBD tubes were subsequently removed in all patients. All ENGBD tubes were removed within 5 days after insertion. 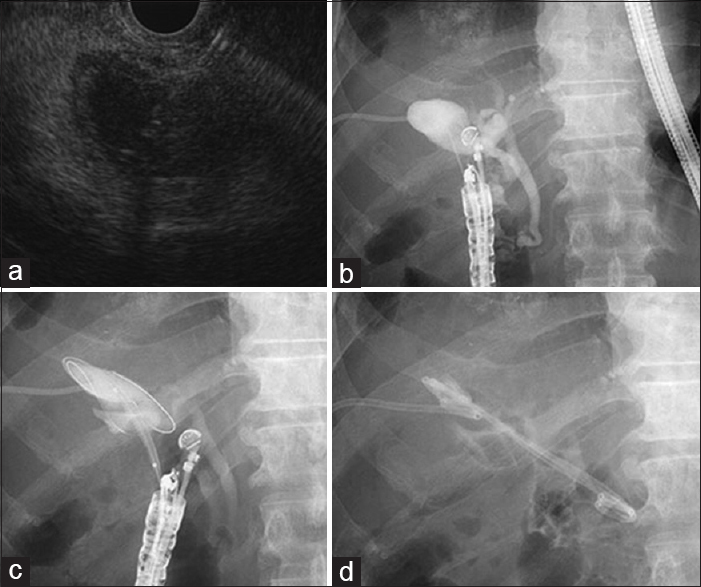 Bile leak with peritonitis was demonstrated in one case, which was treated conservatively. No recurrent cholecystitis was seen during 3–26 months of follow-up. Conclusion: The conversion of percutaneous cholecystostomy to internal transmural EUS-GBD with plastic stents is feasible for patients unfit for cholecystectomy. However, more studies are still needed to confirm the results. Background/Aims: Adipose-derived mesenchymal stem cells (ADSCs) possess immunosuppressive activity and hold promise in autologous cell-based therapies. The aim of this study was to determine whether autologous ADSCs can improve outcomes in the rat small bowel transplantation (SBT) model. Materials and Methods: Allogeneic SBT followed by implantation of autologous ADSCs through the penile vein was conducted in Brown-Norway (BN) donor rats with Lewis (LEW) recipient rats infused with phosphate buffered solution as the control. Allograft and recipient peripheral blood were obtained. We assessed histopathology, apoptosis, cytokines, and regulatory T cells (Tregs). One-way analysis of variance was applied to assess the significance of the data. Results: It was found that ADSCs significantly reduced acute rejection and improved the allograft's survival rate. In addition, there were significantly fewer apoptotic cells in allograft mucosae in the ADSC group in comparison with the control group. Furthermore, levels of interleukin (IL)-10 and transforming growth factor-β1 were significantly elevated, whereas those of IL-2 and IL-17 levels were significantly reduced in the ADSC group when compared to the control group. Moreover, flow cytometry analysis revealed that there were significantly more peripheral Tregs after the infusion of ADSCs. Conclusions: These results demonstrate that implanted autologous ADSCs improve allogeneic small bowel allograft outcomes by attenuating the acute rejection and reducing inflammatory responses. Background/Aim: Early diagnosis of chronic illnesses and cancers mainly occurs at primary health care centers (PHCs) by primary health care physicians (PHPs). 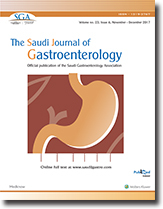 The incidence of colorectal cancer (CRC) in the Kingdom of Saudi Arabia (KSA) is rising and this has been attributed to many factors. The increasing incidence of CRC is compounded by nonadherence to screening recommendations. Therefore, evaluating PHPs knowledge, attitudes, and practices of screening for CRC is clinically important. We aimed to evaluate the knowledge, attitudes, and practices of PHPs regarding CRC screening and to identify the factors associated with nonadherence of PHPs to screening recommendations. Materials and Methods: PHPs working at three tertiary care centers and PHCs across the city of Jeddah were randomly recruited. Participants were surveyed using a comprehensive questionnaire that recorded data on demographics, qualifications, and knowledge of various modalities and guidelines related to CRC screening. Perspectives about effectiveness of, or adherence to, factors that influence physicians' perspectives or recommendations for CRC screening were also assessed. Logistic regression analysis was used to identify physician characteristics associated with PHPs perspectives and nonadherence to CRC screening. Results: A total of 127 PHPs were recruited. The average age of participants was 34 (±8.4) years, 86.6% were native Saudi's and 56.7% were females. The majority of surveys (66.9%) were completed at 24 PHCs and the remaining at hospital-based family medicine clinics. Most of the PHPs (55%) had a bachelor's degree and 31.5% were board-certified or carried a PhD in family medicine; 95% of participants believed that CRC screening in general was effective, but as much as 55% reported that they did not practice screening. The male physicians [odds ratio (OR) = 0.44, 95% confidence interval (CI) = 0.19–0.99, P = 0.048)] and PHPs with only a bachelor degree or less (OR = 0.72, 95% CI = 0.55–0.93, P = 0.011) were less likely to recommend screening for CRC. Conclusions: A considerable proportion of PHPs do not adhere to CRC screening recommendations despite a wide belief that screening is effective. Male PHPs with lower qualifications appear to be less likely to recommend screening. Background\Aim: Consanguinity influences the phenotypic variations of some hereditary and immune-mediated disorders, including inflammatory bowel disease. This study estimated the prevalence of consanguinity among the ancestors of patients with inflammatory bowel disease and examined the effect of various consanguinity levels on inflammatory bowel disease onset. Patients and Methods: Patients with inflammatory bowel disease who were seen at two gastroenterology outpatient clinics were consecutively recruited and surveyed for demographics, disease onset, and presence of ancestral consanguinity within three generations. The prevalence of different consanguinity levels was calculated. The association between age at inflammatory bowel disease onset and consanguinity was examined. Results: Two hundred seventeen patients were recruited. The mean age, mean age at diagnosis, and mean illness duration were 32.9 ± 13.4, 18.6 ± 11.5, and 8.6 ± 7.7 years, respectively. Of the cohort, 53.5% were women, and 74.2% were native Saudis. Cigarette smoking was reported in 17.1%; 51% had Crohn's disease, while the remaining patients had ulcerative colitis. A family history of inflammatory bowel disease was reported in 29.5% of patients; consanguinity within three generations was reported in 57.6%. Consanguinity in more than one generation was reported in 38.7%; 17.5% had consanguinity in three consecutive generations. There was no association between inflammatory bowel disease onset and multi-generation consanguinity, but there was an association with disease subtype in favor of ulcerative colitis (b coefficient = 7.1 [95% confidence interval = 4.1, 10]). Conclusions: Consanguinity is extremely common among Saudi patients with inflammatory bowel disease but does not seem to influence age at disease onset. Genetic studies are needed to further clarify the effect of consanguinity on disease behavior. Background/Aims: The purpose of this study is to report our results using a computed tomography (CT)-guided fat transversing coaxial biopsy technique for pancreatic lesion biopsy that avoids major organs and vessels. We retrospectively reviewed the records of patients referred to our department for pancreatic mass biopsy. Patients and Methods: The records of patients (from June 2008 to August 2014) in whom biopsy was performed under CT guidance with a coaxial needle using a fat transversing technique were reviewed. Patient demographic data and biopsy outcomes were collected. We aimed to compare differences between lesion size and biopsy outcome, the independent two-samples t-test was used. Results: A total of 122 patients who underwent 17-G coaxial needle biopsy were included. The mean pancreatic lesion size was 3.2 cm, and in 30 patients it was more than 4 cm. The majority of lesions were located in the head of the pancreas (44.3%). No transorgan biopsies were performed. 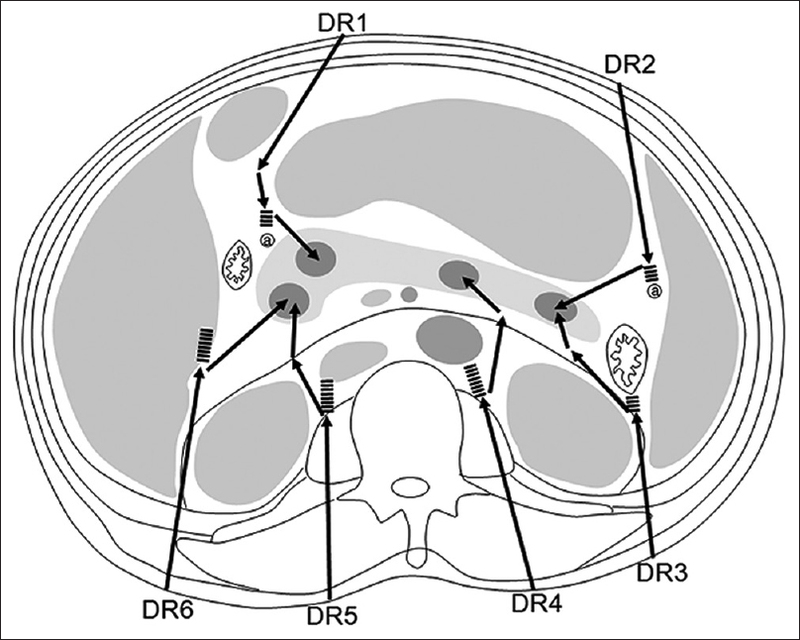 In most patients, the biopsy was performed via a fat traversing detour route (93.4%), and a successful diagnosis was made based on the biopsy outcome in 96.7% patients. Complications occurred in five patients (4.1%); three of the patients developed a fever, and two developed pancreatitis. All patients recovered with symptomatic treatment. Conclusion: CT-guided coaxial core biopsy of pancreatic lesions using a fat detour route appears to be a safe and effective method for obtaining pancreatic lesion biopsies with a high success rate and low complication rate. Background/Aim: There is no doubt that colorectal cancer (CRC) poses a major threat to public health worldwide, and despite improvement in managements, prognosis still remains an irritating question with no definite answer. Being a fundamental player in cancer metabolism, glucose transporter 1 (GLUT1) could be utilized as a prognostic biomarker that could fuel development of new treatment strategies. The aim of this study was to assess the validity of GLUT1 expression as a prognostic biomarker and to elucidate to what extent it is immersed in poor clinical outcome among CRC patients. Patients and Methods: GLUT1 expression in peripheral blood specimens was analyzed by quantitative real-time polymerase chain reaction in 47 CRC patients and 20 healthy controls. Results: There was significantly elevated GLUT1 expression in peripheral blood of CRC patients than in controls (P < 0.001). 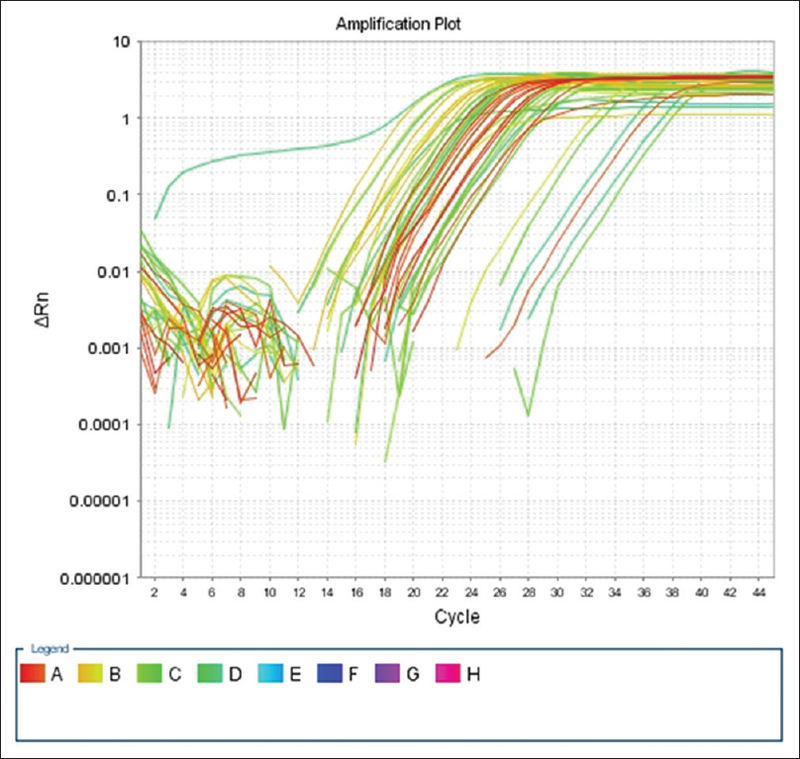 The cutoff value of 0.605 provided 98% sensitivity and 100% specificity. There were significantly higher values of GLUT1 expression in patients under 50 years (P = 0.003), performance status 2 (P = 0.009), stage IV (P < 0.001), and presence of metastasis (P < 0.001). GLUT1 expression showed nonsignificant association with overall survival (P = 0.068), while tumor stage (P = 0.01) and metastasis (P = 0.009) were significantly associated with lower overall survival. Conclusion: GLUT1 is sensitive and specific marker for CRC. It is overexpressed in young age patients, poor performance status, and stage IV patients. Although this was not statistically significant, GLUT 1 showed higher expression level in patients with lesser survival.